Fake atrial fibrillation (AF) is a growing problem. This is when the computer-reading on an ECG calls the rhythm AF, but it is not AF. When the doctor does not recognize the faulty read, the patient is misdiagnosed. Here are three pictures from the last month. (I have a stack of these.) Notice the computer-read at the top. The weird thing about misdiagnosed AF or fake AF is that it’s getting worse as our technology gets better. I think I know why. 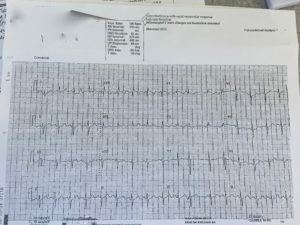 In the really old days, say twenty-five years ago, ECG tracings did not come with computer-reads. An ECG included only the raw data, the electrical signals from the heart. This meant doctors had to look at the actual tracing and interpret it. Skilled ECG readers then passed this knowledge along to students and nurses and technologists. The result was that most caregivers knew how to recognize AF and other important patterns, such as heart attacks. The diffusion of ECG skills was like herd immunity, only it was herd knowledge. That has changed for the worse. Computer readings of the ECG have gradually eroded knowledge of the herd. When computer-reads were first added to ECGs, doctors knew to look away from the computer’s call and see the actual signals. Over the years, the eyes and brains of doctors have been drawn to the computer-read. It should be the opposite. The computer is pretty good at reading ECGs, but misreads are common. My partners and I regularly see patients who have been referred for AF, or tested for AF, or worse, treated for AF, when they did not have AF. The computer misread the ECG and the doctor did not recognize the mistake. You should know about this problem for three reasons. The first reason is specific to AF care … The first step in AF care is to confirm the diagnosis. Lots of things can cause the computer to misread an ECG. A poor quality tracing can fool the computer. So can premature beats. Ask your doctor to be sure you have real AF. The second reason fake AF is important is what it says about our dependence on technology. Effective use of health technology depends on knowing its limits. Artificial intelligence may some day be able to read ECGs better than humans; it isn’t now. An ECG is like a face–there’s so much to see when you look at it. 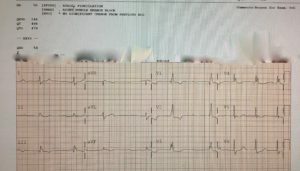 The third reason to know about over-reliance on faulty computer ECG-reading is that it’s a patient-safety issue–one that gets little media attention. Another example: I have seen patients suffer severe bleeding while taking an anticoagulant drug because they had AF–but it was not AF. It was a misread ECG. How about this one: A patient gets diagnosed with fake AF, takes serious medicines for two years, worries about his health the whole time, and comes to find out, it was not AF at all. Why patient-safety leaders tolerate this problem remains a mystery to me. P.S. Dr. Bryan Vartabedian, a pediatric gastroenterologist and healthcare social media leader, raised some good questions and thoughts on this matter. 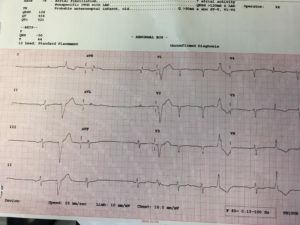 His post is titled EKGs and Artificial Unintelligence. Doctor V’s last point about what machines and what doctors will be doing in the future is both interesting and reassuring. Reassuring because almost anyone can implant a pacemaker or do an ablation; the hard part of medicine is to align the right treatment with the goals of the person. That’s going to be a tough task for a machine. I’m sure that many of us also have examples of “Fake Atrial Fibrillation”. This MAY then lead to AF as a diagnosis (ICD-10: I48 – Atrial Fibrillation and Flutter) on an EMR! It gets entered in the “Problem List” by someone, almost always as a justification for the consult you allude to. Once it is there, it almost never is able to be taken away, even though you, or I have said that the problem never existed. Then everyone gets tagged for not anti-coagulating the patient. These problems will be able to be handled in the future (I hope). 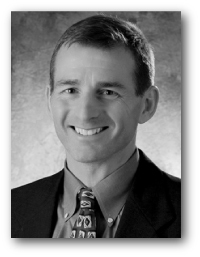 Dr. Mandrola: I have been reading many of your comments over several years and have long recognized that while you may be an accomplished EP and bike racer, you are the ULTIMATE “learner”! So many of your posts/published articles mirror the suggestions I have been making for years on the group on which I am the chief moderator/owner (by default because the “founder”, Jack Drum, has new health issues which take more of his time/attention). Our group is a yahoogroups health group called a-fibcures, and it is the successor of 2 previous groups which started with Jack back in 2000, after he announced on the chat group started, run, and moderated by Terri Palazzo, MS, RN, FACHE, Dr. Cox’ primary assistant once he moved to Georgetown that his Maze III surgeon, Dale Geiss, formerly in Peoria, IL had suggested that Jack start a site for Maze III veterans. I quickly learned that there were many Maze III (and a few Maze II) vets who were leading new lives and some urged me to “go for the gold” since I had become pretty much a vegetable for nearly 10 years after being an active nationally competing Masters swimmer for 20 years and then a triathlete for about 8 years and had gained waaaay too much weight. I have urged members of our a-fibcures group to read publications by Dr. Cox, Bruce Lindsay, Ralph Damiano, Niv Ad, you, and others to try to recognize that not all procedures using the words “maze” or “mini-maze” are truly or even close to the gold standard Maze III lesion set and some may simply be attempts by perhaps well-meaning physicians who have been “taught” by equipment manufacturers’ reps that ablations are real $$$ making opportunities and that some lesions are unnecessary (perhaps often because the equipment being promoted cannot accomplish certain lesions). I have found it so refreshing that you are continuously learning, even by mistakes you might have made early on, that there needs to be a universal definition of being “cured” of afib, and that there are multiple types of afib, not all of which respond to a single lesion set. Rather than post links to your articles/etc., I would like with your permission to just copy and paste some of them onto our site. I am now age 76 in 2 days, 16+ years afib free after my Maze III by Pat McCarthy while he was at the CC, and 2 atypical left sided touch-up ablations by Jeffrey Goldberger at Northwestern Memorial/Blum Cardivascular group in Chicago after it occurred almost exactly 6 years following my Maze III. Dr. McCarthy, who referred me to Dr. Goldberger so he could try to see what “failed” in my lesion set. Subsequently, several more of Dr. McCarthy’s Maze III vets also experienced the same left sided atrial flutter within <2-3 months of their 6th anniversary of their Maze III procedures. As a patient, I’ve come to expect that unless I’m seeing an EP, I will know more about PQRST than they do (I don’t know much). Some freely admit it. Most sound like a freshman in college trying to write a 2 paragraph response to a text they didn’t read. Perhaps the most unfortunate part is that I suspect there is room for SUBSTANTIAL improvement in the machine algorithms. I think this is something we could really improve with technology if the incentives were there. Scary commentary by Dr. John on misreads by the computerized report. There are pros & cons regarding the use of computerized ECG interpretations. Dr. John highlights many of the most important cons. “My Take” on how computerized ECG interpretations may best be used appears here — http://ecg-interpretation.blogspot.com/2016/05/ecg-blog-126-computerized-ecg.html — It is like using ANY tool — there are benefits IF you know HOW to use the tool. If you don’t, then drawbacks will clearly outweigh any potential benefits. THANKS to Dr. John for this interesting post! I am a 72 yr old runner. 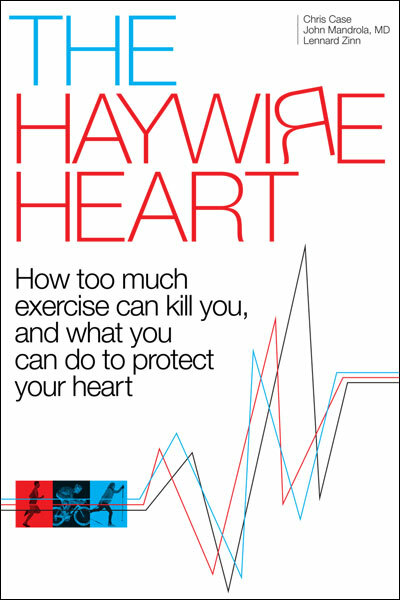 In 2013, a cardio doc diagnosed me with “athlete heart syndrome” on the basic of an EKG. I had a stress test which led to a catherization and a brain scan all of which were normal. I was prescribed flecinaide and xarleto and told if I ran over 5 miles I would die. After the second visit, I requested a referral to an EP. The EP told me to maximize my running and that he would take care of any issues. For whatever reason, he did not take me off the medication. BTW, I ran a half marathon on the medications and did well. I finally found a cardio doc much like Dr. John who took me off all the meds and said go for it. I was doing well and still running. Finding the right doc and knowing what questions to ask has allowed me to enhance and continue my life style. Your article is a must read for patients like myself.